Zapier’s simple to use, point and click interface makes configuring integrations a breeze, even for non-technical users. 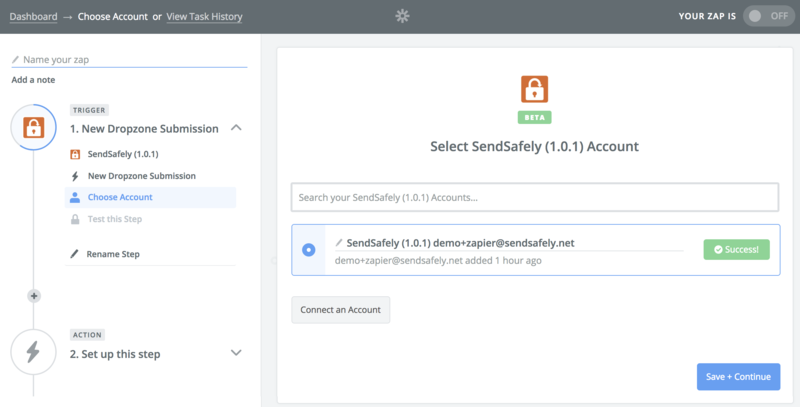 SendSafely + Zapier allows the integration of encrypted files into virtually any workflow. In this blog post we'll show you how to get started with Zapier and step you through the creation of your first Zap. 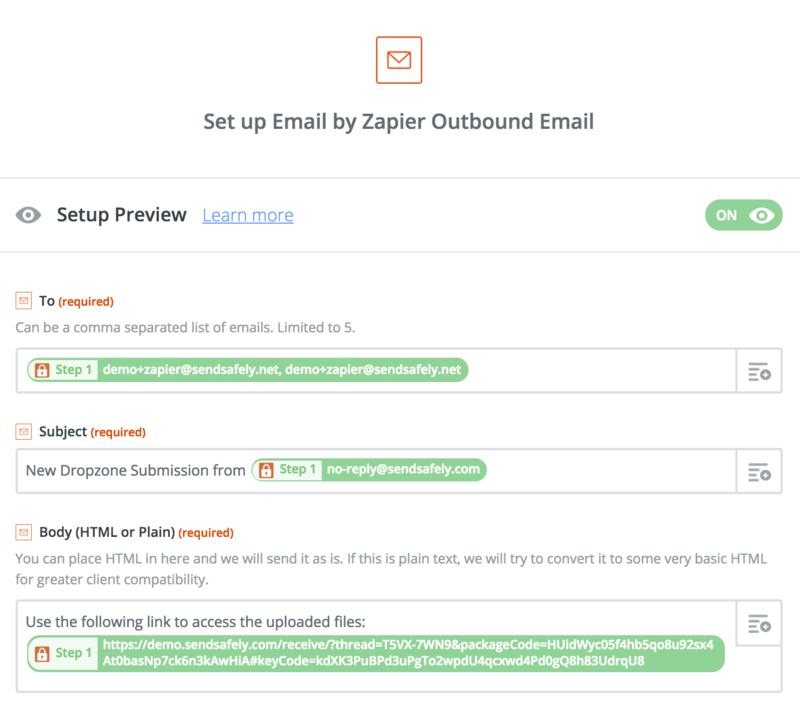 A Zap is a blueprint for a task you want to automate with Zapier. In words, a Zap looks like this: "When I get a new thing in A, do this other thing in B." The first part is the Trigger and the second part is the Action. 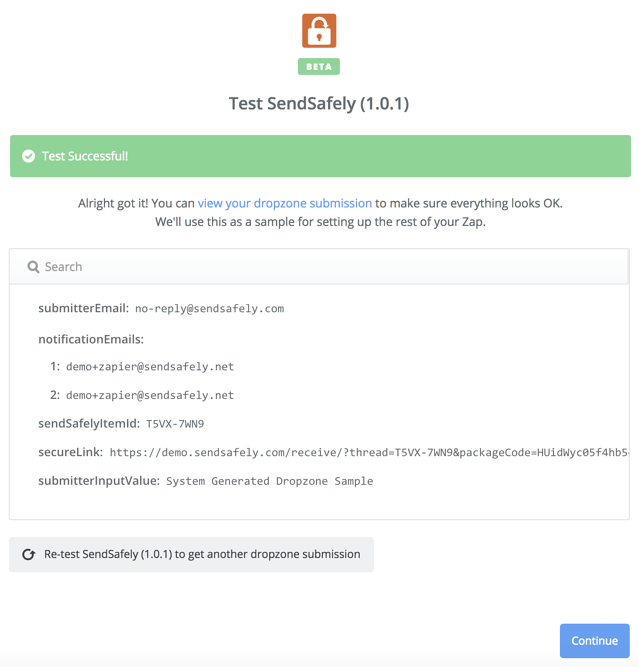 For this example, the Zap can be described by saying "When a new file gets uploaded to my SendSafely Dropzone, send me an email with a link to download the files." Zapier supports hundreds of apps. You can mix and match triggers and actions to automate just about anything. 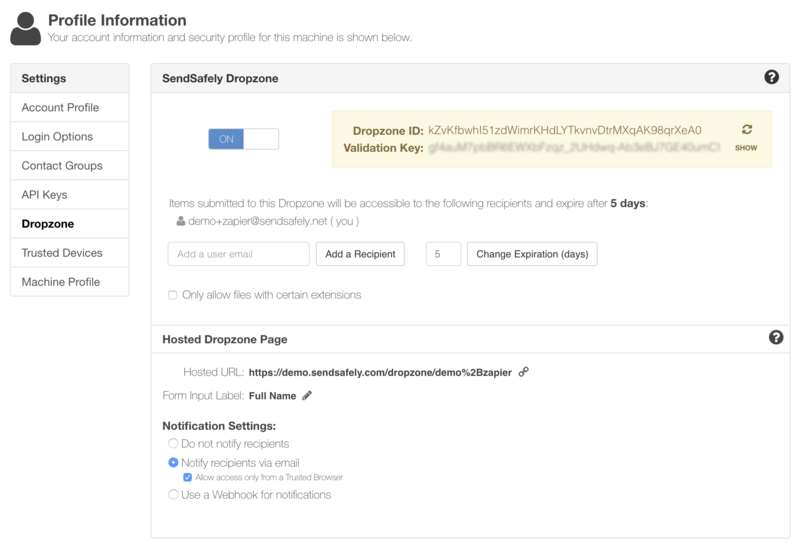 In our example, a file submitted to the Dropzone is the Zapier Trigger and sending an email notification is the Zapier Action. 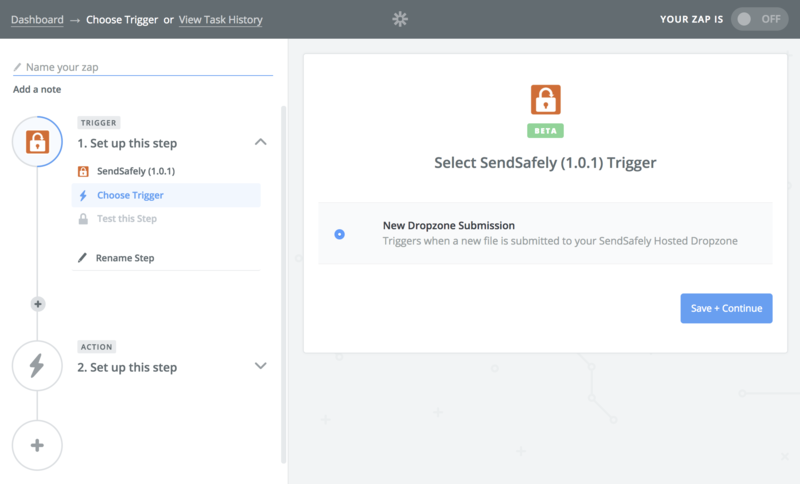 This example is intentionally simple in order to demonstrate how to use the SendSafely Zapier app. A real world example can include much more complex Actions, such as posting file submission notice directly to a support ticket in another system. If you don't already have a Zapier account, you can sign up for a free account here. 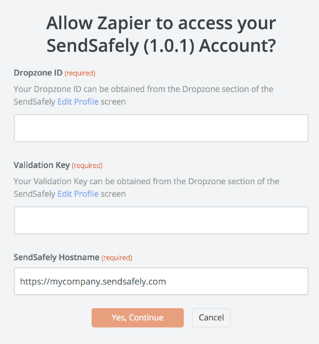 Once logged in, choose the “Make a Zap!” option and search for the SendSafely App. 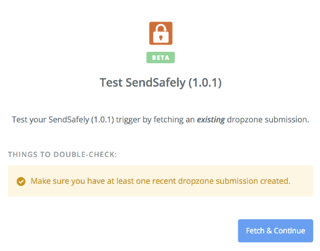 We will use the SendSafely App for our Trigger.